In this case study article we discover how the use of modular controllers has helped a school in London to achieve full control of multiple building services. John Keats Primary School is a new free school occupying the first two floors of a residential development in South Bermondsey, London. The school opened to reception pupils earlier this year, and will eventually accommodate up to 450 students up to year six. Neo System Automation, a WAGO Solution Partner, designed and installed all building controls, cabling and trunking. 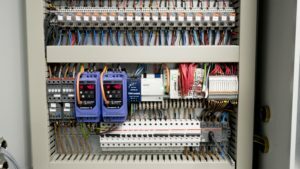 Four WAGO-I/O-SYSTEM 750 controllers were used, two of which are in mechanical plant rooms handling water heating and air handling. DALI and KNX controllers and I/O modules control all internal and external lighting from control cabinets accessed from the school corridors. The system is modular, allowing additional I/O slices to be easily added to the control node should the system need to be expanded. Traditionally controlling DALI lighting, underfloor heating and HVAC would use several disparate control systems from different manufacturers. This approach can take time to install and configure, requiring highly skilled personnel with expertise in multiple platforms, and often from different installing companies. Pupils at the school will benefit from an enhanced learning environment, with the control systems monitoring conditions to provide optimum lighting, temperature, humidity and CO2 levels, all of which have been shown to improve concentration and alertness. Room sensors and passive-infrared sensors detect occupancy in rooms and corridors and adapt the conditions accordingly. Certain controls can be manually overridden by school staff, for example to turn off lights to show a film or presentation. With automated building controls and features like daylight harvesting, the system can reduce lighting and heating levels in areas where they are not needed, reducing energy costs by up to 30% compared to manually controlled systems. 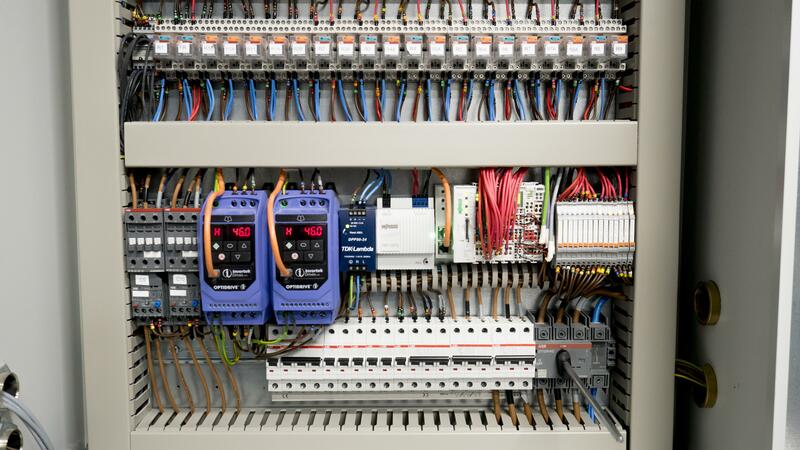 “The WAGO controllers, I/O modules and wiring are all incredibly reliable. In all the years we’ve been using WAGO we’ve never had a single failure. We can also monitor and optimise the control system from off-site, which will practically eliminate the need for maintenance visits once the school opens,” Carlton concludes. What is “Accessible” in BS 7671?